Check your emails! 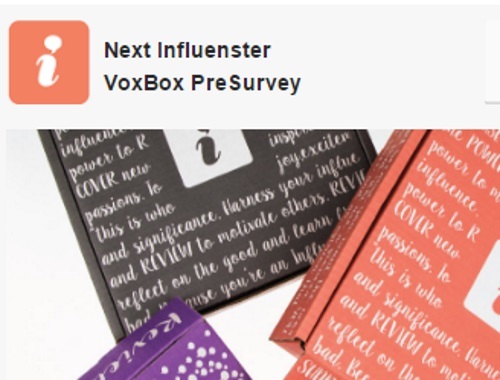 Influenster sent out a Voxbox pre-survey this week for an upcoming skincare Voxbox! If you were chosen for this, be sure you complete the instructions in the email including to click "yes" and complete the qualification survey by today March 14, 2017 at 7pm ET to be shortlisted for this. Click here to join Influenster if you haven't yet.